The numbers are in and February's record snowfall didn't slow down March at all! 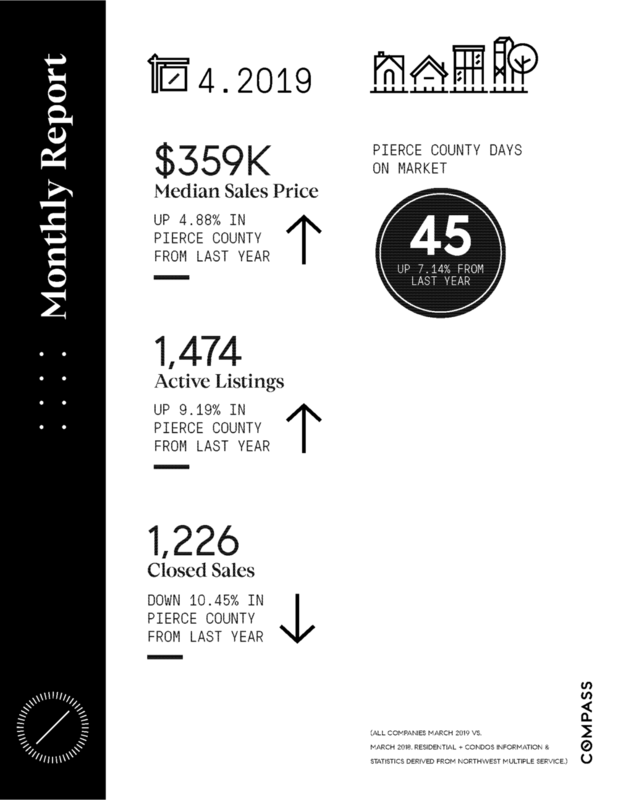 Both pending sales and new listing activity around Western Washington surged during March as buyers, sellers, and brokers defrosted. The current market is healthy for both buyers and sellers so reach out today to chat about what opportunity lies in store! After King County home prices fell to a two-year low in January, the market is already showing signs of a rebound. With more inventory available, buyers now feel like they have something to shop for. Inventory = Opportunity. Not shown in the year-over-year stats: February saw multiple offers returning in some areas. While prices are down from this time last year, the current market is healthy for both buyers and sellers, and having an experienced agent who can translate year-over-year stats vs. real-time conditions is critical. Want to know more? I also have reports for Snohomish and Pierce counties as well. A recent article in The Seattle Magazine analyzes the current housing market and the direct correlation between baby boomers entering retirement and the current homes available for sale. The Seattle Times points out, as the generation of baby boomer enters retirement, less retirees are opting to downsize to smaller homes or sell their investment rental properties.